of the Kennet & Avon Canal by the Queen. 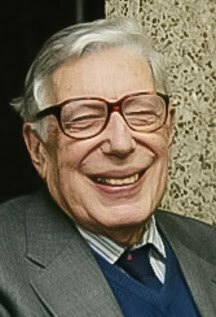 Sir William O’Brien, Chairman of the Kennet & Avon Canal Trust from 1974 until 1991 died on 19th February at the age of 99. Sir William O’Brien discovered the K&A Canal when he moved into the house in Devizes that he had bought for his retirement: “At that time” he recalled, “the canal was no more than a dirty ditch and sceptics said it would never be restored.” But during his time as Chair of the Trust Bill was to oversee the K&A’s restoration and re-opening by the Queen... and last year he attended the 25th anniversary of that event in 1990. Having retired to Devizes Bill learnt that there was an organisation trying to restore the canal and he tracked down the then chairman of the K&A Canal Trust, General Sir Hugh Stockwell, who was delighted to hear from him because he wanted someone to take over the Chair of the Devizes Branch. With no prior knowledge of the canal, but an outstanding Navy career behind him, Bill became a branch chair and had a seat on Trust Council. 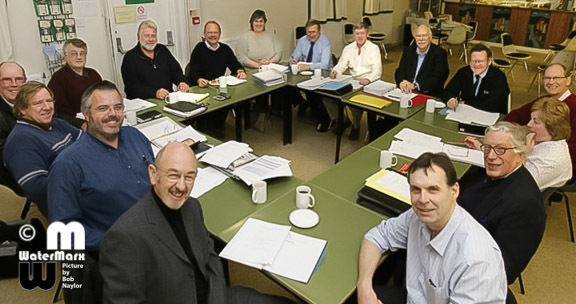 After a couple of years, the General decided to retire and Bill was appointed to take over as Chair of the K&A Canal Trust in 1974 and he is remembered with admiration and affection by everyone who worked with him and knew him at the Trust. Bill had many battles to fight during his time as Chairman. In 1974 the Trust had no official base and Bill described the branch structure along the 87-mile canal as parochial. Each branch was concerned only with their own patch, jealously holding on to their own branch funds, not able to see the benefits of working in unity and pooling the charity’s resources. He could see that if the canal was going to be restored it was essential for the Trust to be working as one organisation. It was a battle he fought for eight years. Another hurdle he felt he had to overcome was the management of the Trust as a whole. At this point the Trust’s organisational structure was 100 per cent voluntary, with nobody claiming any expenses let alone wages. Bill’s proposal to employ a salaried General Secretary was not popular and it took him three years to get approval from Trust Council to appoint someone to run the office and support him in his role as Chairman. Eventually he did — but he only advertised with the Officers Association because he was determined to appoint someone who he would be able to work with easily. But for this to happen the Trust needed a base which was to come once Kennet District Council became involved. They offered the Trust the derelict bonded warehouse on Devizes Wharf, and although Bill originally wanted the current Wharf Theatre Building, in retrospect he believed that the bonded warehouse building that they moved into in 1980 was more appropriate to the Trust’s needs. In September 1975, the year after Bill became Chair of the K&A Canal Trust, the Labour Chancellor of the Exchequer Denis Healey introduced the Manpower Services Commission’s Job Creation Unit. Bill realised that the scheme was custom-built for canal restoration and he spent a year trying to persuade British Waterways Board that he was right — but the Chief Executive would not agree. Finally, however, at a meeting with the BWB engineer in Gloucester when the "Dry Section" between Dundas and Avoncliff was being discussed, Bill was given the go-ahead. He drove back to Devizes, called an extraordinary meeting of Trust Council in a pub — and they approved the plan. This was courageous of the Council because although the labour was free the materials were not. Trust Council agreed to spend £75K in one year on the Dry Section alone when the income for the whole Trust was only £40K. 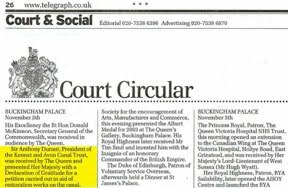 It was really putting their necks out, but as Bill recalled: “Very often during my time with the Trust I stuck my neck out – and the money came in somehow”. In the end, the Dry Section didn’t cost £75K. It cost £110K. And it didn’t take one year as it was supposed to. It took 18 months. But at the end of it the Trust had £150K invested, having paid fully for the Dry Section. Bill considered this to be, without doubt, the most important achievement of his time as Chairman. The restoration of the Dry Section was the catalyst that moved restoration forward. Both the Dry Section and Caen Hill Flight were the obstacles that gave people the excuse not to fund the Trust’s work. John Bartholomew of Wadworth Brewery repeatedly told Bill that the Trust would never restore the Dry Section or the Caen Hill Flight. He said: “I’m buggered if I’ll give you any money”. And Bill never got a penny from Wadworth until the Dry Section was restored. Once that was done, the sceptics realised that the Trust really was going to restore the canal and according to Bill, everything else followed from that. 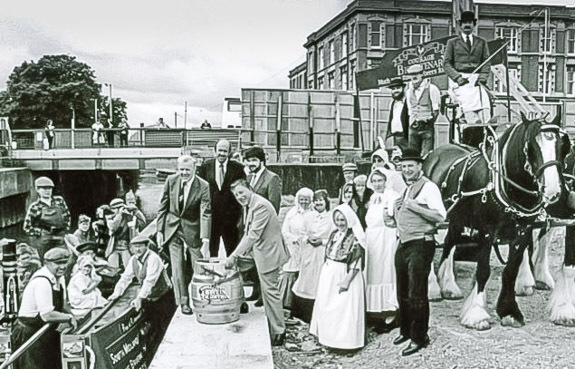 canal re-opening ceremony on Caen Hill, Devizes in 1991. Wiltshire County Council were co-sponsors of the Dry Section restoration — the first time a local authority was involved in canal restoration — and seeing what had been done with the Dry Section, Kennet District Council organised the Job Creation Scheme work on the Caen Hill Flight and that was a tremendous boost to the restoration of the canal. After that, the Chief Executive of Kennet District Council and the Recreation & Amenities Officer, Bob Harris, achieved the support of Kennet DC for the canal. Through Bob Harris’s work and the generosity of Kennet DC, Pewsey Wharf was refurbished and rented to the K&A Canal Trust and the Canal Centre at Devizes Wharf was rented to the Trust — both at very low rents. And then the other riparian Councils began to take an interest. In 1991 the K&A Canal was approached by a former K&A restoration volunteer who had moved to work on the French canals with the proposal that the K&A twinned with the Canal du Nivernais in Burgundy. Bill was very enthusiastic about this, seeing the potential for sharing expertise and gaining publicity. He signed the pioneering twinning agreement on behalf of the K&A Canal Trust in April 1991 along with Brian Rogers, Regional Manager of the South West Area of British Waterways. 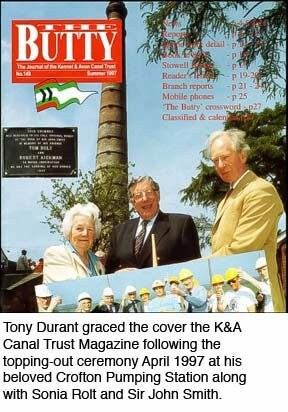 Bill was succeeded as Chairman of the K&A Canal Trust in 1991 by Brian Starke. Admiral Bill O’Brien (born 13 November 1916, died 19 February 2016) is survived by two daughters and one son. His wife, Rita, died in 2012. 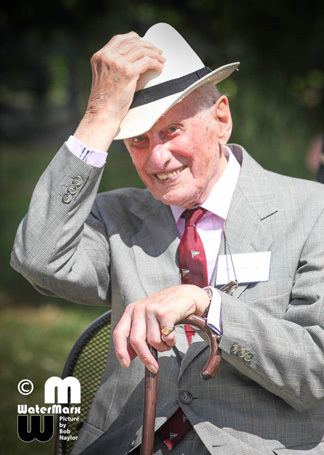 Sir Anthony Durant the former Chair of the Parliamentary All Party Group for Inland Waterways and President of the Kennet & Avon Canal Trust has died aged 88. Tony’s affection for the waterways was kindled by his mother - who was, he said, barmy about rivers. And he persuaded his wife Audrey to spend their honeymoon cruising on the Thames. That love was to benefit all our canals and the K&A in particular. Tony joined the Royal Navy at the end of World War 2, training in supplies and victuals. When he left the Navy he took his victualling into the catering industry, as a commis waiter at the Connaught Hotel, London, where he also learnt a bit of cooking. Then he spent two and a half years at Coutts Bank before he started working for the Conservative Party as National Organiser for the Young Conservatives. He successfully stood for Woking Council where he became Deputy Leader of the Council and Chairman of the Education Committee. His political career was beginning to take off. He was appointed as an agent in South Yorkshire where he helped reduce a 30,000 Labour majority by 26,000. He then fought and won another Labour seat as the candidate, Reading North, entering the House of Commons in 1974. He remained there until he stood down at the 1997 elections – though his constituency changed to Reading West with the 1983 boundary changes. With the K&A Canal passing through his constituency and the love of waterways inherited from his mother, he soon got involved with the All Party Group for Inland Waterways, which was relatively dormant at the time. He revitalized the Group and under his chairmanship it held monthly meetings attended by representatives of waterways throughout the land and was one of the largest All Party Groups in the House. This was how he came to know the K&A Canal Trust. Talking in 2011 about his time and activities with the K&A Canal Trust, Tony said: “I was always happy to support the Trust with its promotional activities – especially if it involved beer!” And he was there in 1987 when Reading Branch celebrated Courage’s 10 millionth barrel of beer aboard nb Hesperus. He offered himself to the Trust as President and took up the post in 1995. And he was always there when needed to represent Council at Trust events - his real strength was supporting Trust work and branch activities such as Reading Branch’s WaterFest. But he himself felt that his greatest achievement was with the work at Crofton Pumping Station. John Smith was an MP for a while and Lord Lieutenant of Berkshire, and Tony introduced Sir John to Crofton. Sir John was later to pay for the chimney at Crofton Pumping Station to be restored in memory of Tom Rolt and Robert Aikman. This wasn’t the only occasion when connections in high places were put to good use. 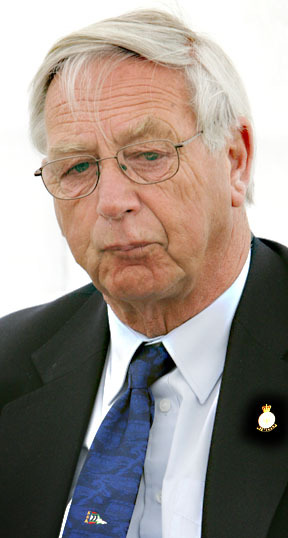 Tony became a Government Whip in 1993, which meant he had to stand down from Chairing the All Party Group of the Inland Waterways – by taking the government’s shilling he had to give up the Inland Waterways Group. But all his influence wasn’t lost. He became Vice Chamberlain to Her Majesty the Queen. So when Reading branch decided to re-enact the 1956 petition to the Queen during the campaign against closure and collect names along the canal and present them to her with a declaration of gratitude for saving the K&A, Tony managed to arrange an audience with her Majesty – the only Canal Society to be granted such an audience. 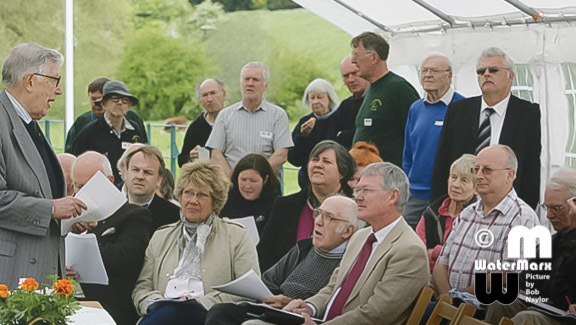 Sir Anthony Durant speaking at his last Kennet & Avon Canal Trust AGM as President in 2009. Tony is survived by his wife of 56 years, Audrey, their three children, Karen, Nicholas and Marcus, and four grandchildren. But now it’s Summer 2015 and the latest Marnie adventure has just landed on my desk for review, and not only is that over four years away, there’s been another Leo in between ‘Stick in the Mud’ and I didn’t get to review it which is a shame as I know Docklands well. The explanation is sadly a simple one: Leo has not been that well. The good news is that he’s now a great deal better and has already got several chapters of his latest under his belt. You too can now visit his website www.leomcneir.com and read all about him and his books and his wife, the cookery writer Cassandra McNeir. He is we now learn a distinguished linguist and lexicographer and has edited twelve dictionaries, a thesaurus and a spell-checker over the last two decades (I could have done with his Catalan work during twenty-five years in Deià Mallorca). 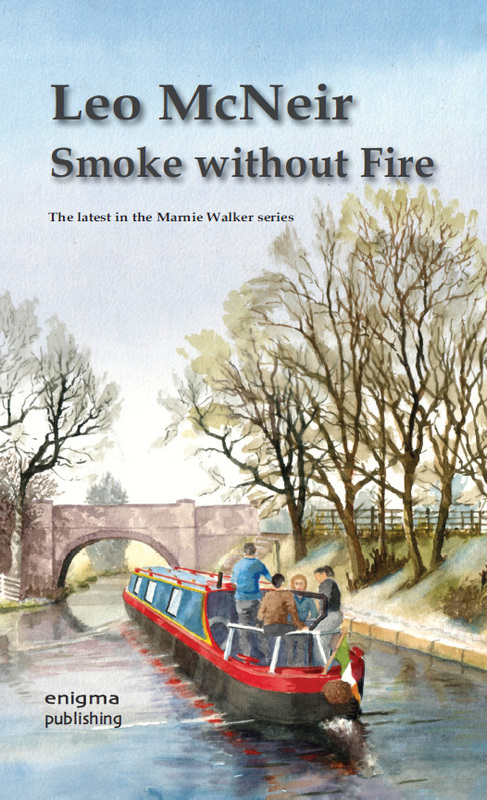 And his latest book ‘Smoke without Fire’ — all I need say is that yet again it’s a great read as Marnie Walker learns that a man of considerable eminence has arrived in her village. Soon, inevitably, tragedy strikes, and I’m left wondering once more why nobody has yet picked up Marnie for TV… and yes - she solves that one as well while still carrying out the day job! A former head of customer operations for British Airways at Gatwick who joined the Canal and River Trust (CRT) earlier this year as Head of Business Boating will now take responsibility for all boating matters with his job now including the private boating role of Sally Ash until her recent retirement. Mike Grimes is no stranger to building and maintaining relationships with customers and his new team will work on plans that will meet the needs of the entire boating community — ensuring consistency in processes such as boat licensing and communications to all boaters. Ian Rogers, executive head of customer services at CRT said: “Boaters, of all types, contribute so much to the waterways and it’s important that we listen to them and meet their needs. It makes sense to have both private and business boating under the same banner, so any improvements are for the general good for all. 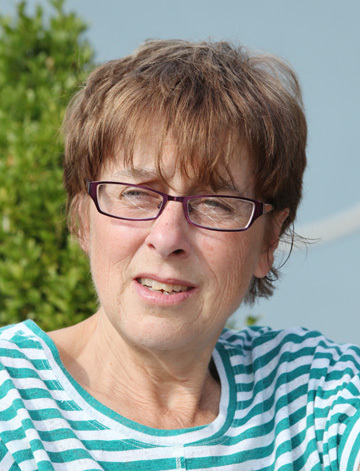 Sally Ash, who received the MBE in this year's Queen’s Birthday Honours for services to Britain's canals, has had a life-long passion for the waterways. Whilst studying in Reading she became active in the Kennet & Avon Canal Trust’s battle to get the canal restored. She was involved in the Trust’s Reading Branch and she became the K&A Canal Trust’s sales officer, traveling to shows most weekends with a stall selling canal merchandise, recruiting new members and spreading the message that the canals should not be allowed to die. She was also busy raising money for the restoration by collecting and selling old newspapers — what she calls “grass roots stuff”. A post-graduate research project introduced her to British Waterways (BW) and she applied for a researcher’s post when it became vacant in 1975, That was the beginning of a life-long career working with the waterways. Sally stayed with BW until she retired as Head of Boating for the newly formed Canal and River Trust (CRT) earlier this year. Sally’s love of canals began at a very young age. Her father had been in the Navy during WW2 and he retained a love of the water, which he passed on to his daughters. They took regular family boating holidays as soon she and her sister could swim. Sally was nine. For Sally, these family boating holidays were the highlight of the year – always an adventure because nothing ever worked and the canals were very run down. But they were having such a great time that she thought, we can’t let the canals die. So she and her sister got involved in the campaign to keep them open. When she was 17 she read one of her father's books, written by Robert Aikman, where she saw an advertisement for the K&A Canal Trust, and she joined straight away. After a life-time of enjoying the canals it is not surprising that Sally feels passionately that young people need to be introduced to the waterways or that she would do something about it, so when she retired she immediately started volunteering with a community boating organisation close to her home. And she still proudly owns the book by Robert Aikman that originally led her to the K&A at the tender age of 17. Forty years of unstinting voluntary work on the restoration and promotion of the Kennet & Avon Canal by Mike Wyatt of Reading has been rewarded with the award of the BEM (British Empire Medal). Mike, who is a member of the Reading Branch of the Kennet & Avon Canal Trust, caught the inland waterways bug in1969 when an army friend asked him to crew his boat to Worcester. The following year Mike hired a boat and he joined the K&A Canal Trust shortly afterwards at a time when the canal was in a very poor state – and the towpath no better. He recalls numerous work parties clearing saplings from along the overgrown towpath — and sponsored walks that needed special signage for participants to navigate their way safely. He helped restore Bulls Lock near Newbury and Garston Lock (one of K&A’s two remaining turf-sided locks). More recently Mike has been Harbour Master for the Reading Water Fest, working with other Reading Branch members to plan and organise the water-based activities. Mike was Vice Chairman of Reading Branch for many years and he tried hard not to become Chairman, but the calling came in 2005 and he was Chair of Reading Branch for two and a half years, standing down in 2008 at the ripe age of 79. 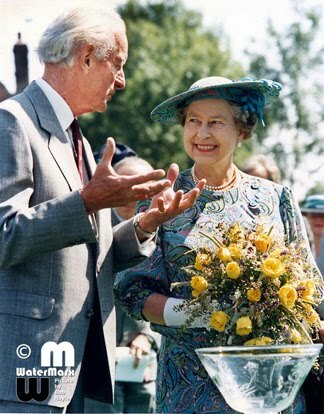 It was Mike’s idea for the Kennet and Avon Canal Trust to celebrate the completion of the £29 million HLF canal restoration project by presenting the Queen with a Declaration of Gratitude, thanking her for her support in the past and reflecting the wording of the original petition sent to her 50 years before. Mike and his wife Audrey, along with Gerry and Maureen Thorne, took the framed Declaration of Gratitude by boat from Reading to Devizes collecting signatures to be bound into a book to present to the Queen. K&A Canal Trust President at the time Sir Anthony Durant, who had been Vice Chamberlain whilst he was MP for Reading and knew the Lord-Lieutenant of Berkshire, arranged a 15-minute audience with the Queen for himself, Mike and Peter Crawford, the Reading Branch Chair at the time. Mike remembers the Queen speaking easily and knowledgeably about the canal. He told her that the original petition appeared to have been lost by the National Archive and as they were leaving Mike recalls hearing a voice say “Don’t lose this one”. A royal command if ever there was one. 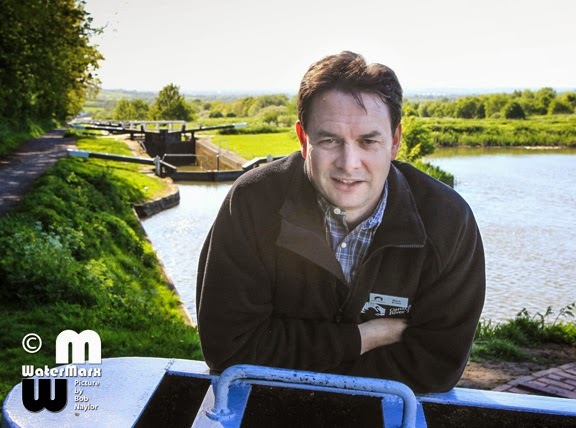 The Kennet & Avon Canal now has a new manager in post — and following the recent re-organisation of the charity his role is now customer focussed and substantially different from that of the previous engineering-focussed waterway manager. 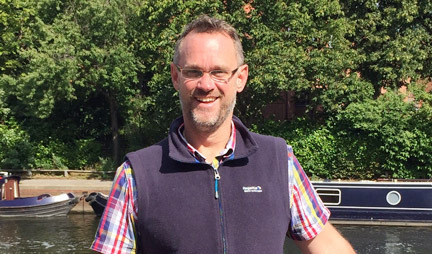 Mark Evans joined the Canal and River Trust as the new Waterway Manager for the Kennet and Avon and Bridgewater and Taunton Canals in April and he is responsible for the day-to-day running of the canal. He will be working with all users of the canal as well as the waterside communities and various other organisations that are concerned with the canal. But in his first few weeks Mark has discovered that there is more to the job than just keeping a canal running. There are several other issues that need to be addressed and he is developing a strategy to deal with them. Mark has an Estates Management background, but his experience covers much of what he expects to meet in his new job. He has worked with Scheduled Ancient Monuments and managed restoration projects, including refurbishing a canal lock. His previous work has also included community-based environmental projects and engaging young and unemployed people. 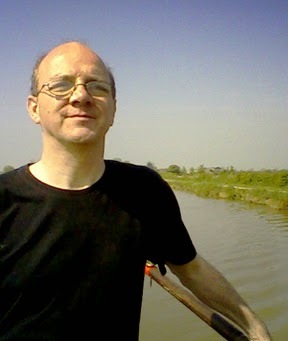 Since arriving in Devizes, Mark has started to explore the canal and visited both Bristol and Reading, meeting people along the way. He plans to spend a weekend cruising on the K&A and has already been out meeting CRT volunteers in Bradford on Avon and on the Caen Hill Flight in Devizes. CRT takes volunteering very seriously, and Mark says that his experience of watching volunteer lock keepers interacting with the public made him proud to be the Waterway Manager. 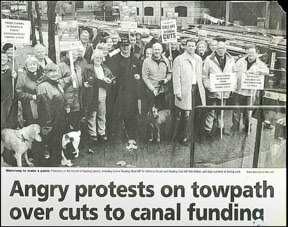 “They are great PR and ambassadors for the canal itself and for CRT”, he said. Veteran waterways enthusiast David Edwards-May will be running in his first marathon at the age of 65 to celebrate the 70th Anniversary of the Inlands Waterways Association and raise money for the Waterways Recovery Group. David’s enthusiasm for the waterways began at a young age. He was 16 when he went to the London Boat Show and bought Stanford’s Canoeing Map of England and Wales — which led to him exploring hundreds of miles of canals. He joined the IWA in 1968. He volunteered with Operation Ashton to help restore the derelict Ashton and Lower Peak Forest Canals before moving to France in 1976 where he helped on the restoration of the Rivers Lot and Baïse, and the re-opening of the Canal de Roubaix. Over the years David has been a researcher and consultant on many waterways restoration and protection projects. His maps have been a ‘must have’ for all users of mainland Europe’s navigations and his submission to UNESCO resulted in the Canal du Midi achieving World Heritage status in 1996. David is a vice president of Inland Waterways International (IWI)which runs the annual World Canals Conference — this year to be held in Ghent, Belgium and in 2016 Scotland’s five canals will be celebrated when the confernece is held in Inverness. A canal worker’s first day on the job almost ended in tragedy when he plunged into a lock on the the Devizes flight on the K&A Canal on a quad bike on Wednesday Evening. An eye witness said that the man in his 60s was having problems with the quad bike and after being given advice by a colleague he careered off and crashed into the canal. He was rescued by Barry Reed who’s house overlooks the lock witnessed the incident and rushed to the canal and found the rider face down in the water. Sergeant Vince Logue of Devizes police said: "Barry was a real hero. The outcome could have been much worse if he had not been there." Victoria and Spencer Collins are making a fuel run from Hilperton to Wootton Rivers on the Long Pound on the K&A Canal this weekend. They were at Foxhangers today — up the Devizes Flight tomorrow and along the Long Pound over the weekend and back to Foxhangers on Tuesday. Give them a ring on 07790 017418 or stop them them on the way. They can take card payments over the phone. The return of rubbish bins to Devizes Wharf seems unlikely to happen in the near future — if ever — following a statement from the Canal and River Trust Contracts Manager Richard Harrison who claims that the bins were pushed into the canals ‘on occasions’ and that the ‘vast majority’ of the rubbish was from the general public and not from boating customers. At a recent Canal Users’ Forum K&A Canal Waterways Manager Mark Stephens was asked about the removal of the bins from the wharf and he said that he hoped to re-instate rubbish collection on Devizes Wharf in cooperation with the local authority. But in answer to an inquiry about progress on the return of the bins to the popular and busy canal stop-over Mr Harrison said: “There are no current plans to replace these bins. These were continually abused while they were on the wharf with the vast majority of the rubbish being from the general public and not boating customers. The containers were also pushed into the canal on occasion. This claim of abuse of the bins has been robustly contradicted by canal users with a long association with the K&A Canal — and Devizes Wharf in particular. The latest removal of the bins was in November/December 2010 at the instigation of the then K&A Canal Trust General Manager, Dr Mike Rodd prior to the visit of the lantern parade to the wharf as part of the canal’s bicentenary celebrations. He was quoted in the Wiltshire Gazette on 28th November as saying:” British Waterways knows nothing about them and Wiltshire Council at first said it wasn’t even their land, which is alarming as we have been paying them rent for many years. The wettest winter since records began could have damaged dragonfly and damselfly populations for years to come say the Canal & River Trust — and it is asking people to monitor the insects as part of its annual Great Nature Watch which starts today. Fluctuating river levels and fast currents are known to wash away dragonfly larva (or nymphs) an as larva live underwater for up to three years, the recent floods may have a long-term effect on dragonfly populations. Canal & River Trust group environment manager, Peter Birch, said: “Dragonflies, and their sister damselflies, flourish in clean water which is rich in bankside vegetation, such as reeds. This makes them a fantastic indicator of the health of a canal or river. While this year’s floods have had an obvious impact on larger animals, birds and fish, we are also particularly concerned with the impact on invertabrates, which form the foundation stones of a healthy water environment. We would expect to see an increase in numbers of mosquitoes and midges which prefer stagnant and isolated water, but we may also see a drop in the numbers of dragonflies emerging this Spring." 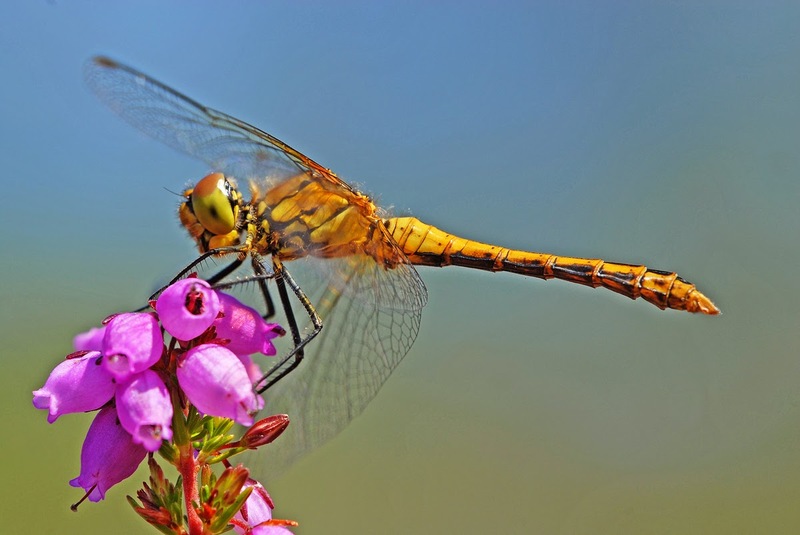 Dragonflies are an ancient species, whose ancestors were around before the dinosaurs. While many of us recognise them as beautiful flying summer insects, they spend most of their lives as underwater larva. They emerge ‘on the wing’ for a few brief months to mate and lay their eggs before dying. 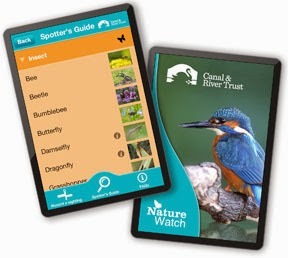 The Great Nature Watch asks you to record your sightings of all wildlife you see on a canal, river, reservoir or lake. Records can be submitted by downloading the Trust’s free mobile app or online at www.canalrivertrust.org.uk/great-nature-watch. Anyone can take part, and record as many sightings as they like between now and September. White Horse (Wiltshire) Trades Union Council will be running its second Radical History Day on Saturday at The Cause in Chippenham. Entry is free and the event runs from 10am to 4pm. Any hopes the Canal and River Trust (CRT) had that a judgement in its favour in a Judicial Review claim brought by the National Bargee Travellers Association (NBTA) would give the force of law to its interpretation of the rules governing ‘continuous cruising’ were dashed yesterday (Wed 19 February 2014) when the action was discontinued. 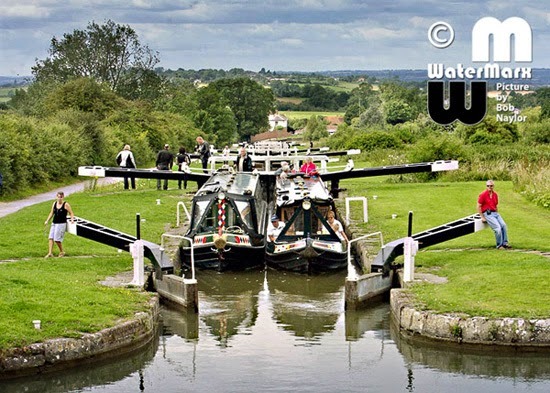 Nick Brown, claimant in the judicial review proceedings against Canal & River Trust (CRT) to decide whether the Guidance for Boaters Without a Home Mooring is lawful, yesterday afternoon discontinued the action. He said “During the hearing it became apparent that this case could not after all decide on the lawfulness of the Guidance because I am not facing any enforcement action myself. Therefore the case should not continue”. Nick Brown who was represented by Chris Johnson of Community Law Partnership and Martin Westgate QC said: “The arguments presented by my legal team will be of assistance to boaters who are subject to enforcement action”. The judge raised a number of legal points that will be of no comfort to CRT. He found s.17 (3) (c) (ii) of the British Waterways Act unclear: “The more you look at the statute the weirder it becomes” he commented. He added that it would have been helpful if CRT had addressed this dispute by seeking new legislation. Mr Justice Hildyard also told CRT this in the Moore case in 2012. "as far as 'bona fide navigation' was concerned, what was good for boaters with moorings was also good for those without. “An occasional trip down to the Dog and Duck” might very well be bona fide navigation whether this was from a marina or from a towpath spot." Mr Justice Lewis also observed that “Place” could be as small as an individual boat length, by stating that the mooring or other “place” to keep a boat required by s.17(3)(c)(i) has the same meaning as the “place” used in s.17(3)(c)(ii). Mr Justice Lewis also stated that in his opinion, the Guidance took legislation that was already difficult to understand and did not make understanding it easier. Mr Brown observed that this means the Guidance is of little assistance to a boater seeking to ensure he is compliant with the British Waterways Act 1995. Contrary to CRT’s assertion that the Guidance remains “valid and applicable” it is now called into question. Mr Brown was granted leave to proceed with the judicial review by Lord Justice Jackson in July 2013. Permission was confined to the issue of whether the Guidance accurately reflects s.17(3)(c)(ii) of the British Waterways Act 1995. This governs the obligations of boaters without home moorings. Non-compliance can result in the seizure and removal of the boat. CRT attempted to claim costs in excess of £100,000 which could deter other challengers, but Mr Justice Lewis rejected CRT’s application and ruled that CRT would have to justify the amount claimed.